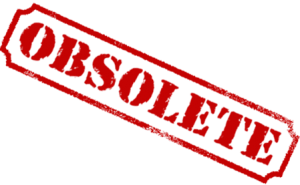 Typically, when we say something is obsolete we mean it is out of date, no longer produced or used, or has been replaced by something new. And, the term “obsolescence” can be applied to people, processes, products, programs and even churches. One of the church leader’s primary responsibilities is to see that the church’s people, processes, systems, facilities, services and programs don’t become obsolete. Obsolescence can generally be traced to cultural changes in style, function and quality. Style: People’s preferences change over time. This is particularly pronounced in the clothing industry. Skirt length, tie width and color combinations can fall in and out of favor in a year’s time and become unfashionable or obsolete. Nowhere in church life has changing style preferences been more observable than in the area of adult, student and children’s worship services as preferences in music and worship styles and presentations shifted dramatically in recent decades. Church facility style preferences have also changed to include more gathering spaces and multiple smaller venues. Function: Within a business or organization, function generally refers to methodology. A better way, or method, is discovered rendering the old methodology obsolete. The advent of computers, keyless entry and remote control devices are examples of improved methods that caused the obsolescence of entire industries. Quality: When a higher degree of excellence is introduced, lower quality items often become obsolete. Digital technology has replaced analog technology primarily because of the higher quality it achieves. High definition screens are now common place in most churches because of the higher quality of sight lines and communication. And, many attribute the rapid rise of the mega-church to the increased quality of the ministries and services they provide. Composite Action: When obsolescence occurs in churches it usually is a result of a combination of the factors of style, function and quality. 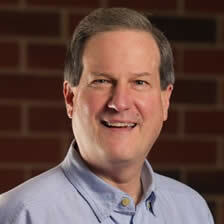 For example, the growing obsolescence of many older churches can be attributed in part to a failure to successfully address the substantive changes in preferences of worship style, functional changes in discipleship and missions methodology, and qualitative improvements in facilities, systems and programs. Contextualized Imitation Through Monitoring: For many churches the primary strategy to combat obsolescence is imitation of the innovation that has occurred at other churches. To use this approach successfully, leaders must develop broad based monitoring systems, usually a combination of books, articles, site visits, web sites, consultants and conferences to learn when and where these innovations occur. Most importantly, the leader must understand the “why” and the “call” as well as the “what” and “how” behind the innovation to effectively contextualize the innovation to their congregation. Creation and Innovation Through Research and Development: Another approach to mitigating the march towards obsolescence is to prayerfully research solutions to problems, threats and opportunities and develop new programs, processes and systems. Church leaders who consistently bring the right people together to review and discuss the cultural changes occurring in style, function and quality that impact the church, and determine Christ honoring and God inspired responses to those changes are much more likely to avoid obsolescence. Personal Growth Through Self-Development: It is important to remember that most organizations become obsolete because their leaders became obsolete. The only way to avoid personal obsolescence is through spiritual and professional self-development. 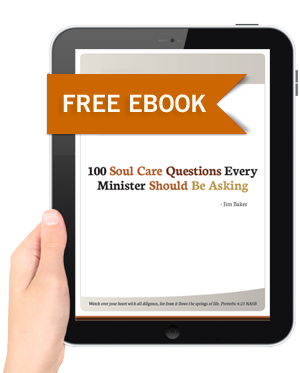 Church leaders have the responsibility to keep their soul care vibrant and knowledge and skills current as well as those of their staff and lay leaders.